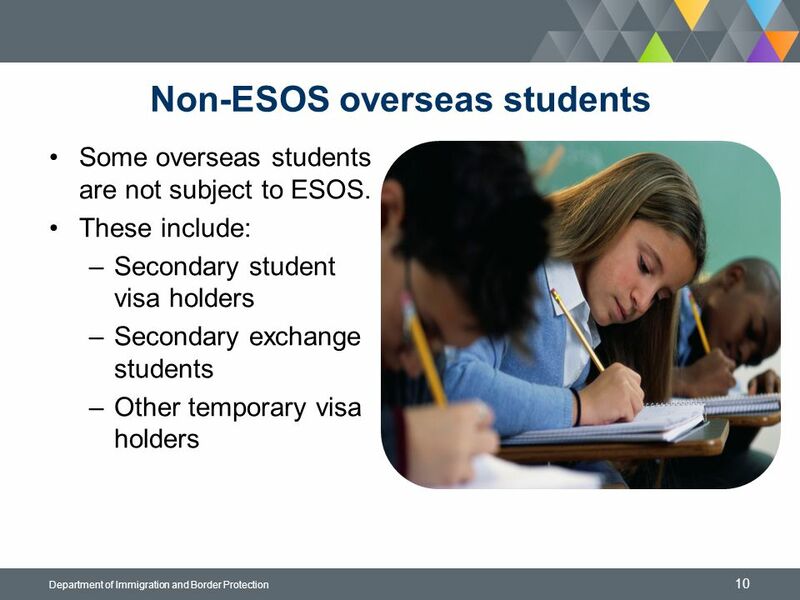 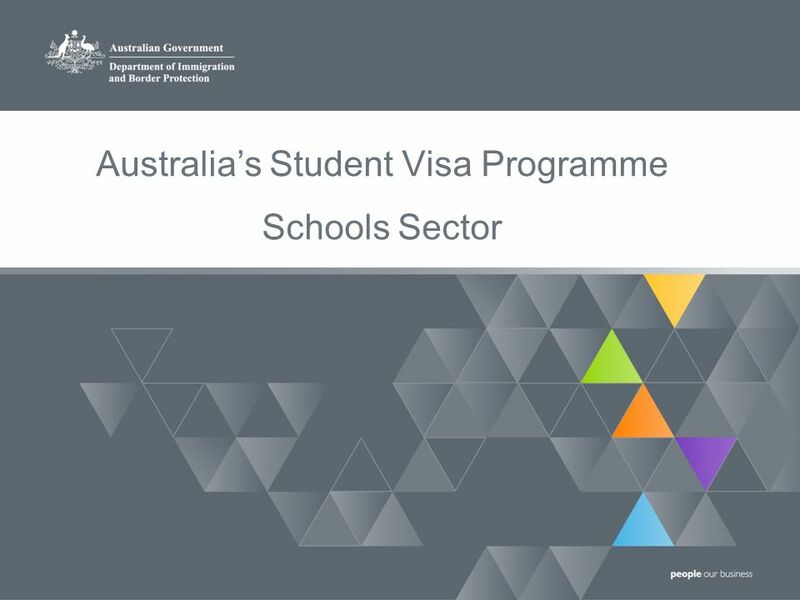 1 Department of Immigration and Border Protection Australia’s Student Visa Programme Schools Sector. 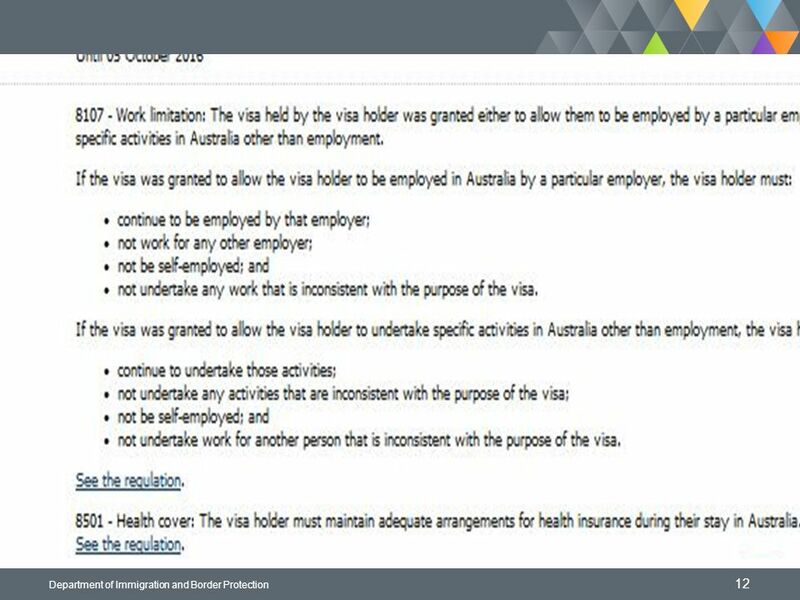 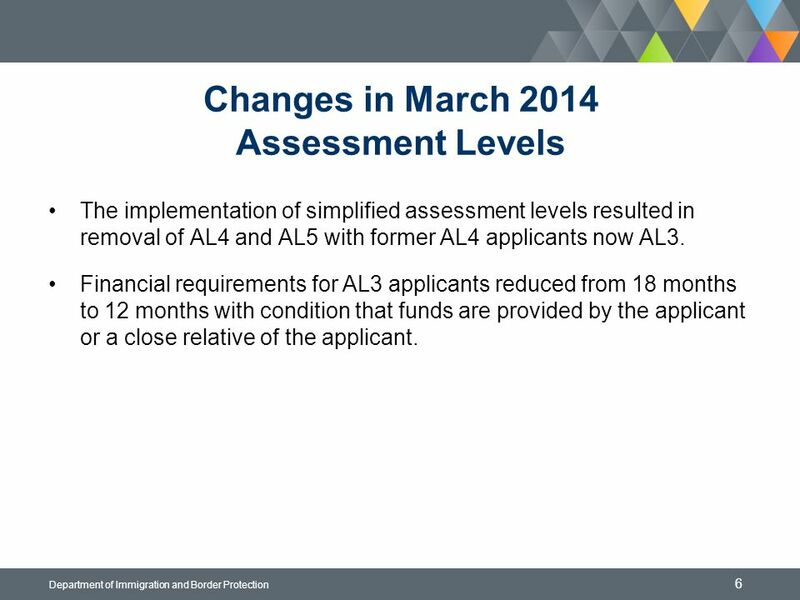 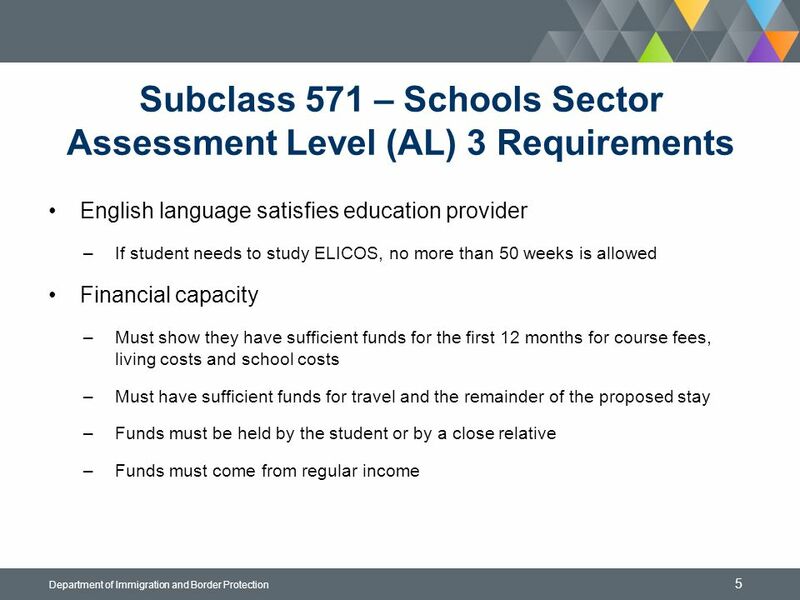 6 6 Department of Immigration and Border Protection Changes in March 2014 Assessment Levels The implementation of simplified assessment levels resulted in removal of AL4 and AL5 with former AL4 applicants now AL3. 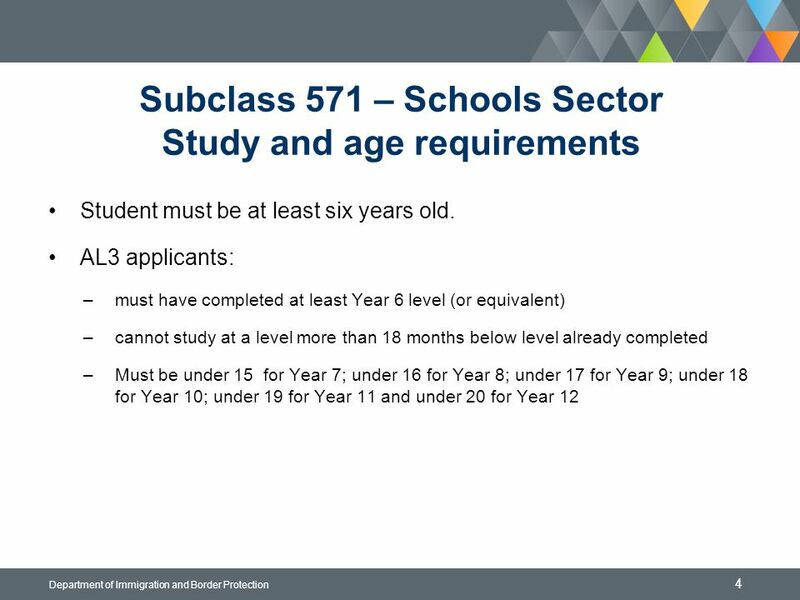 Financial requirements for AL3 applicants reduced from 18 months to 12 months with condition that funds are provided by the applicant or a close relative of the applicant. 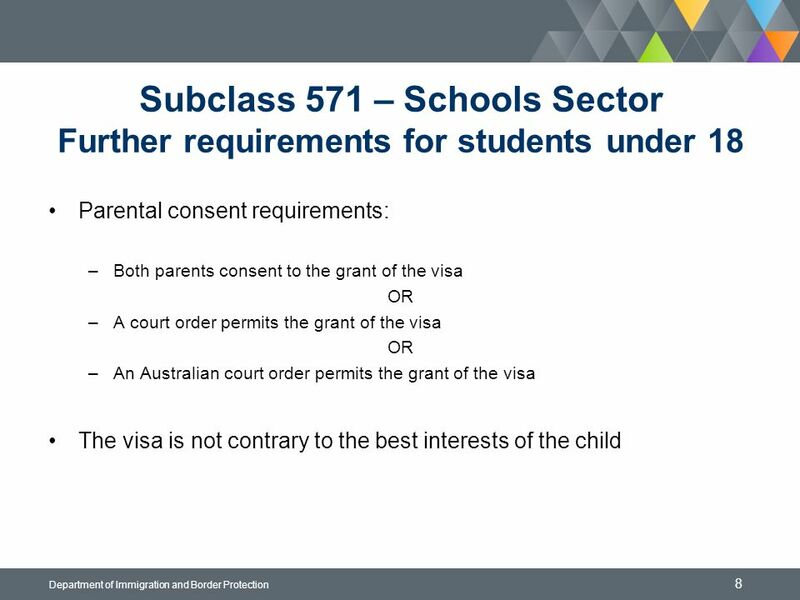 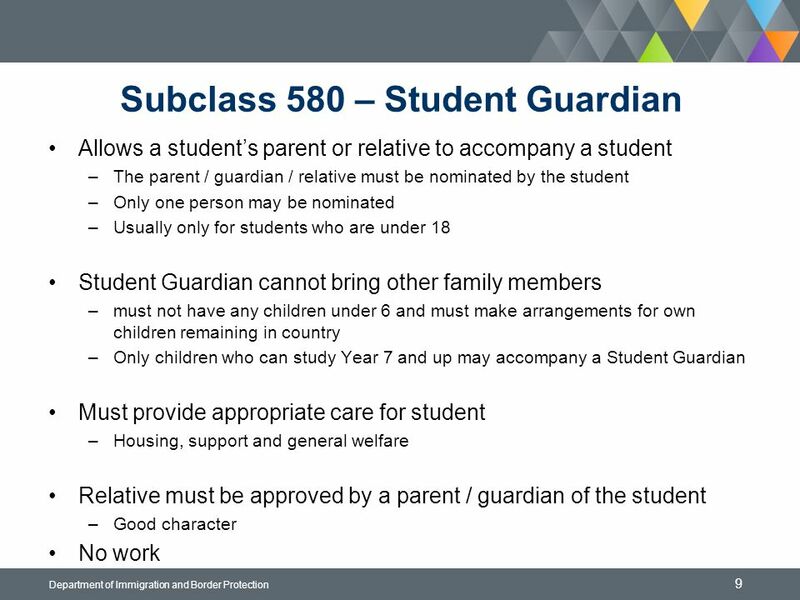 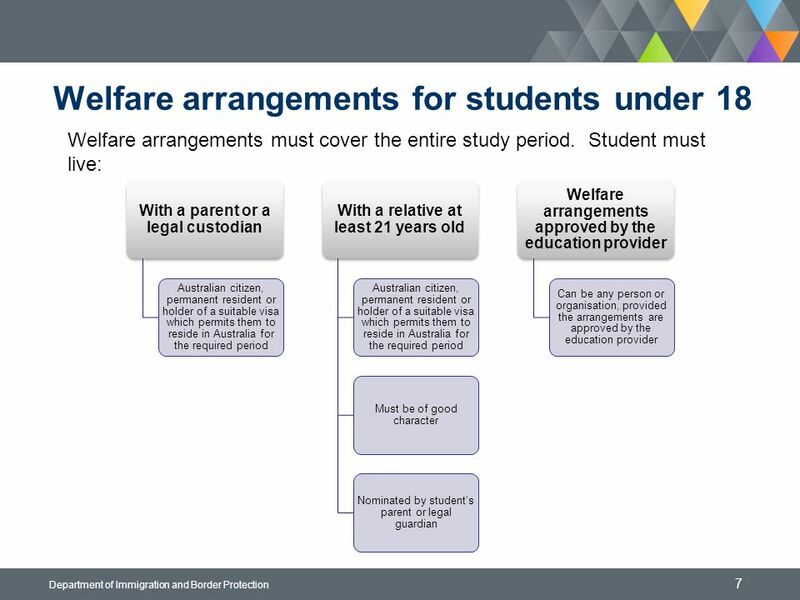 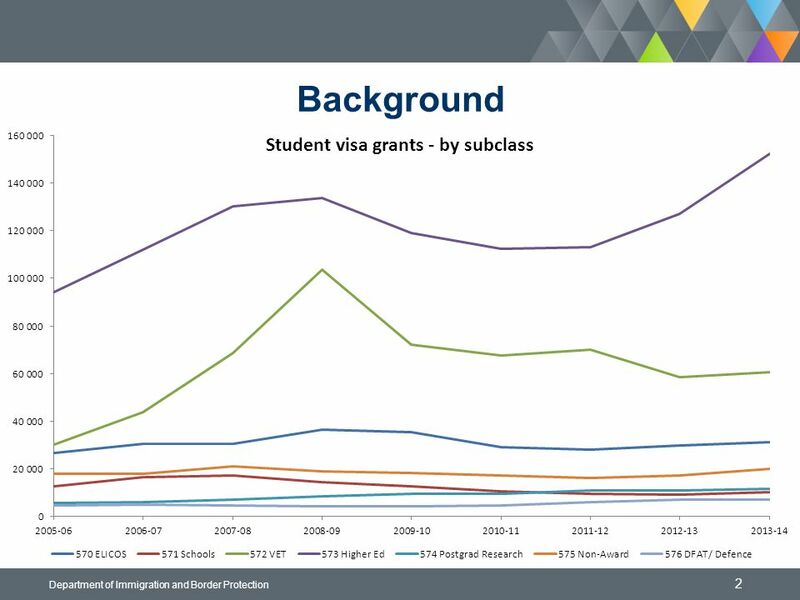 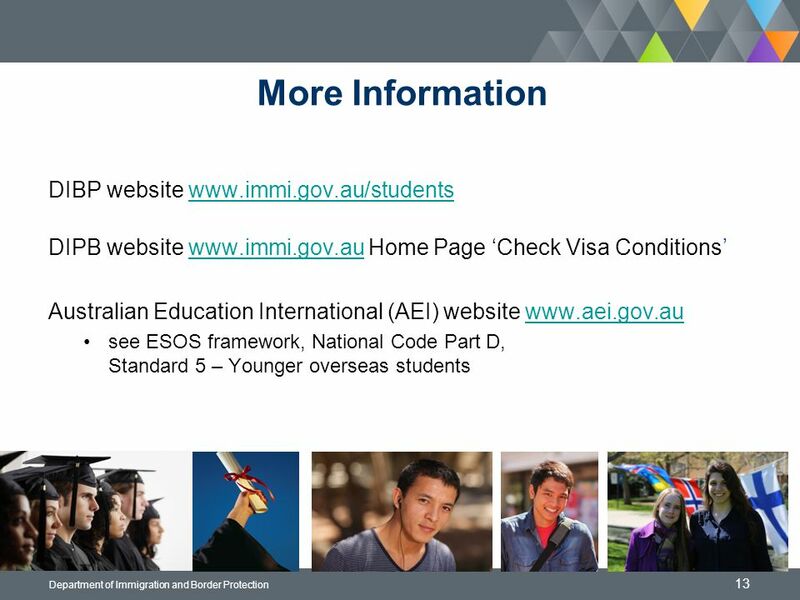 Download ppt "1 Department of Immigration and Border Protection Australia’s Student Visa Programme Schools Sector." 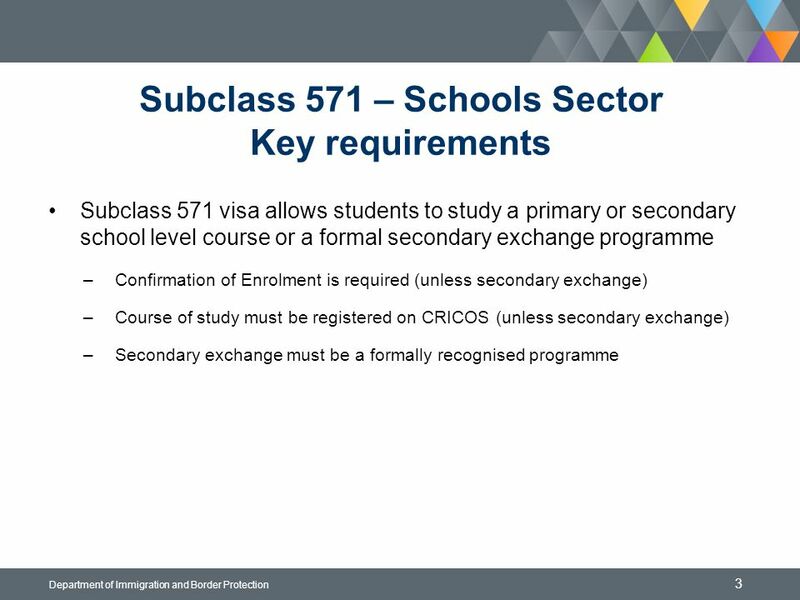 Subclass 457- Business (Long Stay) visa program WTO Mode 4 Symposium, Geneva Linda Mortensen, Regional Director Europe Department of Immigration and Citizenship. 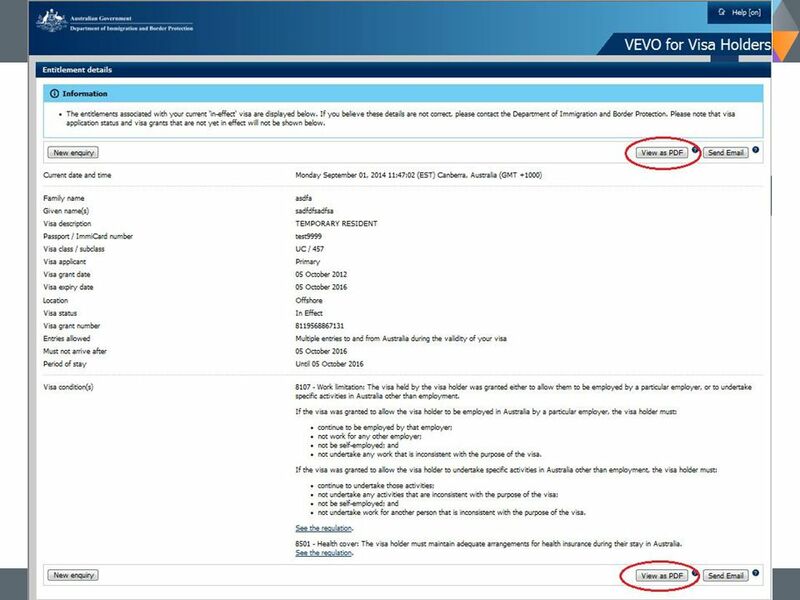 WHO training courses on family violence prevention | February 21, 2014 February 21, |1 | Strengthening capacity for the prevention of family violence.